Bulk Update allows you to update a set of individuals, organizations or deals in a single process. 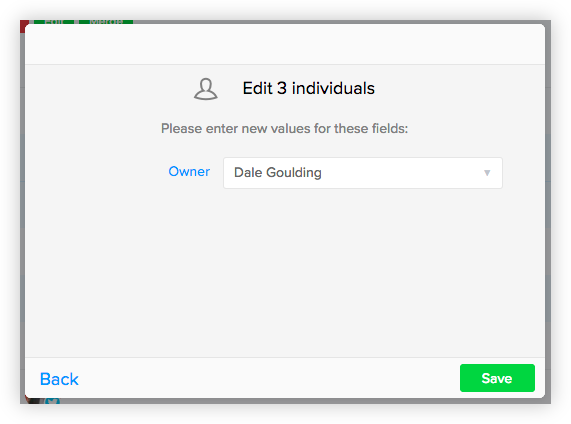 This is useful for adding in custom fields, segmenting existing records, adding contacts to specific groups etc. Go to a group containing the records you'd like to bulk update. Use the checkbox to the left of the record to select the records you'd like to update. 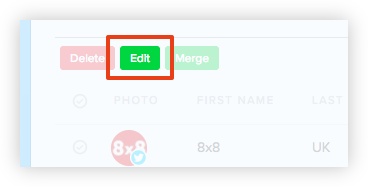 Tip: The checkbox at the top of the group will allow you to select all records. Click Edit at the top of the group. 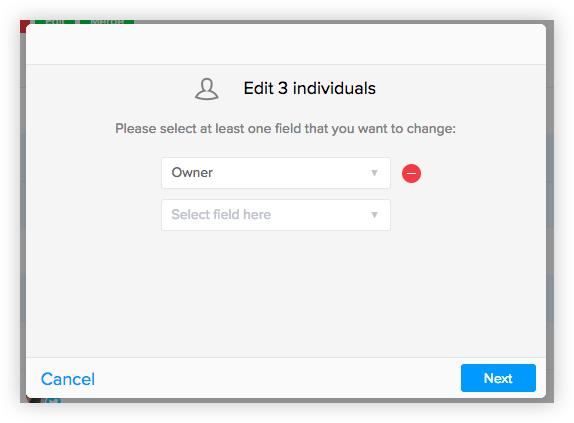 Choose the field that you'd like to bulk update. In this example we are bulk changing the owner of these individuals. Now you've chosen the field you'd like to update, you need to set the values. When you click save SalesSeek will modify each of the records you have chosen to your new values. This may take some time if you have selected lots of records to update. 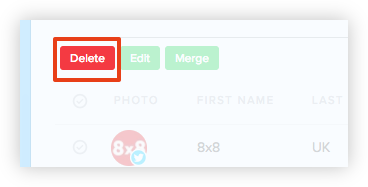 Bulk Delete allows you to remove any number of records at once. Go to a group containing the records you'd like to bulk delete. 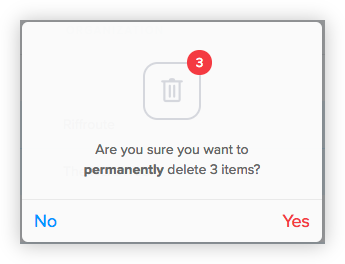 Use the checkbox to the left of the record to select the records you'd like to delete. Click Delete at the top of the group. Question: Can I bulk update my entire Database? 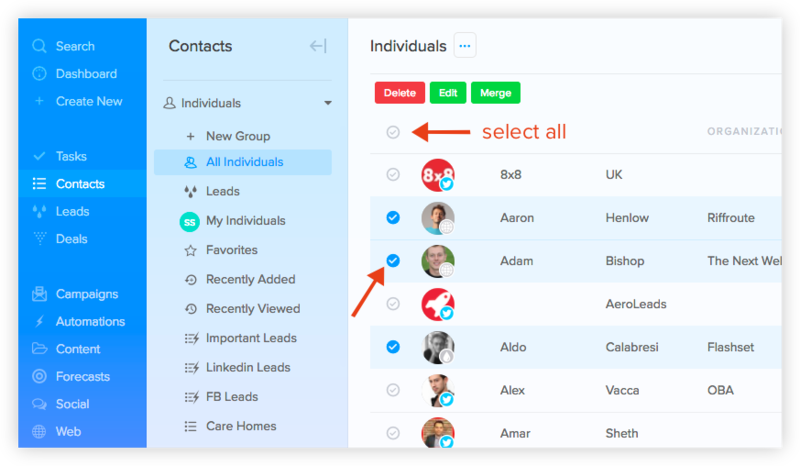 Answer: Yes, when you select the checkbox you with have the option to choose All contact records in the group. Question: Can I undo a bulk action? Answer: No, old values will be lost and replaced with the new values. This cannot be reversed.